Most people go through life thinking they’ll never need the help of a lawyer. 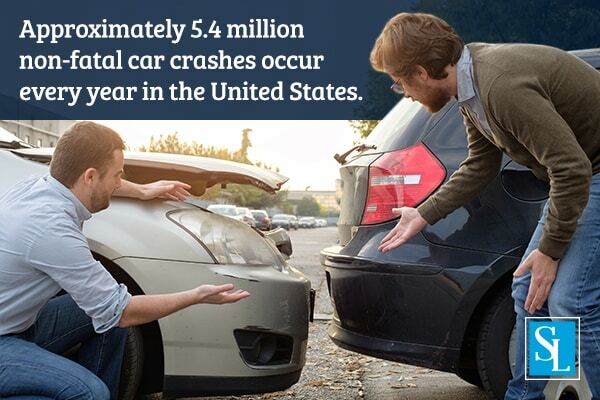 But with about 5.4 million car crashes occurring each year in the United States, there is a chance you may need a lawyer at some point. Whether it’s a car accident, medical malpractice, or any other legal situation, a lawyer can be a big help. Unfortunately, there are a lot of misconceptions about hiring a lawyer, which make people hesitant to do so. So let’s look at the truth behind a few of these misconceptions. The legal system is designed to protect citizens, but only to an extent. When you’re going up against a big insurance company or a powerful corporation, you want legal representation by your side. Most people don’t have the time, money, or resources necessary to build a strong case by themselves. Fortunately, hiring a lawyer can help with this. He or she can help ensure important deadlines are met, the right forms are submitted, and the best evidence possible is gathered. Overall, an attorney can be the difference between getting a favorable settlement and being stuck with thousands of dollars of medical bills. Unfortunately, there are some lawyers out there who are in it just for the money. But if you take the time to find an attorney who puts their clients first, then money won’t be the main concern. The best lawyers are those that truly care about their clients and work as hard as possible to get them a favorable settlement. This is why it’s important to choose your lawyer carefully. If you find a lawyer who keeps in contact with you, takes the time to answer questions, and acts like they genuinely have your best interest in mind, then you’ll have a great experience working with them. Another concern for people in sticky legal situations is that if they hire an attorney, their case will be delayed because it will take too long. But it’s actually quite the opposite. While finding a good attorney can take some time, hiring a lawyer may actually speed up the process of your case. Experienced attorneys will be able to jump right into your case and get straight to the point because they already know how to handle the situation. A good lawyer can help keep your case on track so you can reach a desirable outcome as quickly as possible. Hiring a lawyer is one of the best decisions you can make when you are dealing with a complex legal situation. So if you’re looking for legal representation, call the Steigmann Law team today. Our attorneys have the knowledge and experience needed to build a strong case for you.